Fresh from receiving a Best Picture nomination in the 90th Academy Awards, Univeral Pictures' timely thriller The Post is headed to Philippine cinemas on February 24, a week before the actual Oscars. Marking their historic, first-ever on-screen collaboration, Steven Spielberg directs Meryl Streep and Tom Hanks in The Post, a thrilling drama about the unlikely partnership between The Washington Post’s Katharine Graham (Streep), the first female publisher of a major American newspaper, and editor Ben Bradlee (Hanks), as they race to catch up with The New York Times to expose a massive cover-up of government secrets that spanned three decades and four U.S. Presidents. Throughout American history, there have been catalytic moments in which ordinary citizens must decide whether to put everything on the line–livelihoods, reputations, status, even freedom—to do what they believe to be right and necessary to protect the Constitution and defend American freedom. With The Post, multiple-Academy-Award®-winning director Steven Spielberg excavates one such moment. 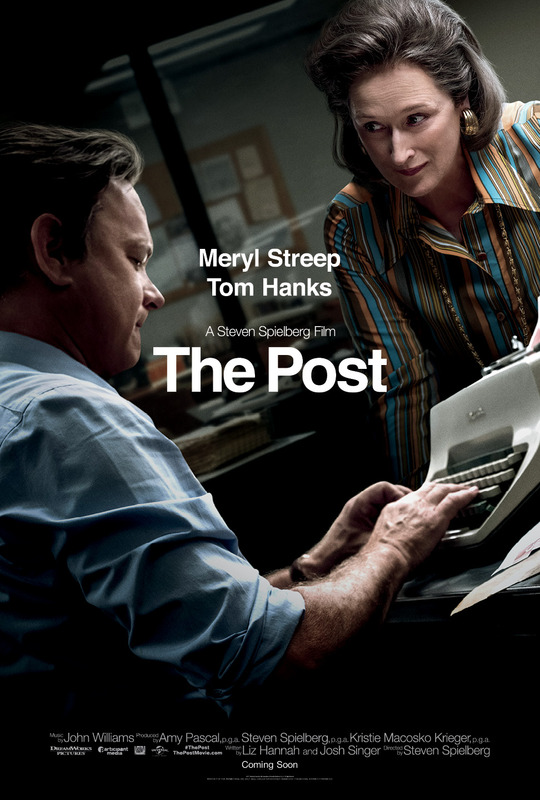 The result is a high-wire drama based on the true events that unfolded when The Washington Post and The New York Times formed a pragmatic alliance in the wake of The Times’ incendiary exposure of the Top Secret study that would become known to the world as the Pentagon Papers. Though scooped by The New York Times, The Washington Post takes up the story that has brought legal threats and the power of the White House down on The Times—as huge personal stakes collide with the needs of a shocked nation to know what its government is hiding. In the balance might hang the fate of millions, including thousands of U.S. soldiers fighting a war their government does not believe can be won. In just a few days of crisis, pioneering but inexperienced Post publisher Katharine Graham will weigh her legacy against her conscience as she gains the confidence to lead; and editor Ben Bradlee must press his team to go beyond the ordinary, knowing they could be charged with treason for carrying out their jobs. 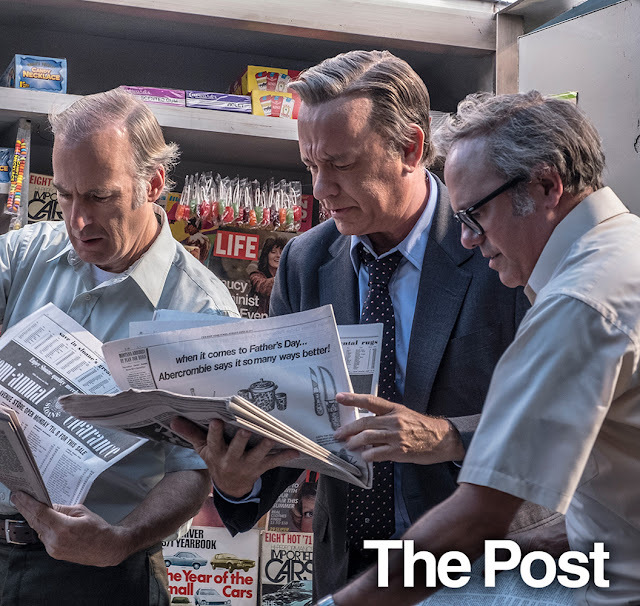 But as they do, the underdogs at The Post become unified in a battle far larger than themselves—a battle for their colleagues and the Constitution—one that underscores the necessity of a free press to hold a democracy’s leaders accountable, even as it challenges Graham and Bradlee to their most private inner cores. Throughout his career, Spielberg has been drawn to visiting moments on which historical transformations turn in films ranging from Empire of the Sun and Schindler’s List to Munich, Lincoln and Bridge of Spies. 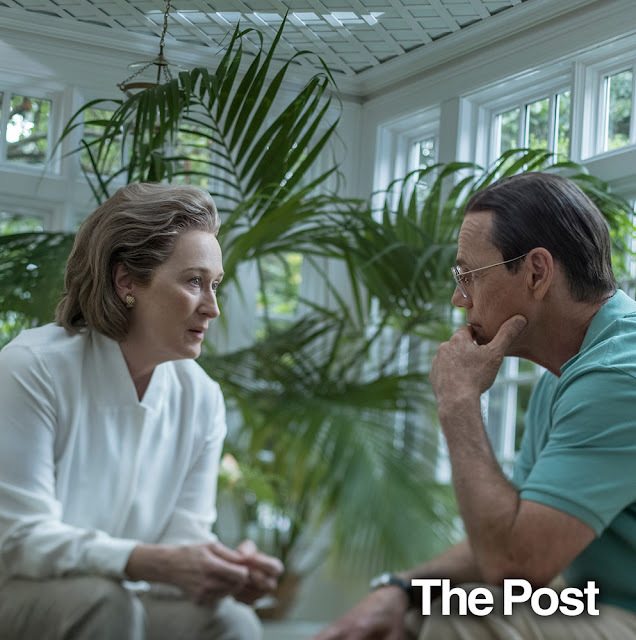 The Post turns Spielberg’s lens for the very first time on 1970s America, the same era in which he first became one of America’s eminent filmmaking voices. Its relentlessly brisk narrative is a story of personal connections and courage, but it also brings Spielberg into the world of newspaper reporting at a critical moment for the nation and the world, a realm on the cusp of change with the rising power of women and the coming of corporatization. Most of all, the story provides a riveting context for a timeless dilemma: when must one speak out to expose a grave national danger even knowing the stakes are unfathomably high?